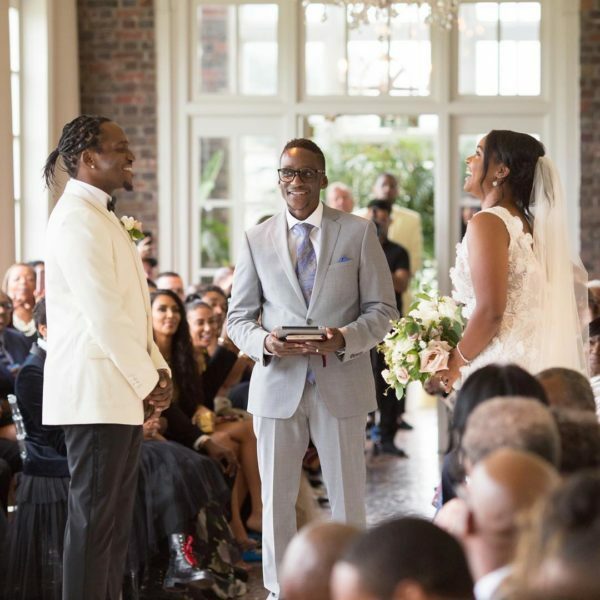 American rapper, Pusha T and his longtime girlfriend, Virginia Williams got married over the weekend in a lavish ceremony that took place in his hometown Virginia Beach, US. Weddings are a big deal whether its a grand ceremony or a small one. The wedding took place on Saturday July 21, 2018 at the historic Cavalier Hotel in Virginia Beach. The couple have been dating for about 10 years, and the two finally decided to jump the broom last night – they felt the time was right. The happy couple had family and some very famous friends in attendance to join in their celebration. Pusha T got married with Kim Kardashian West, Kanye West, Pharrel Wiliams, Trey Songz amongst others in attendance. 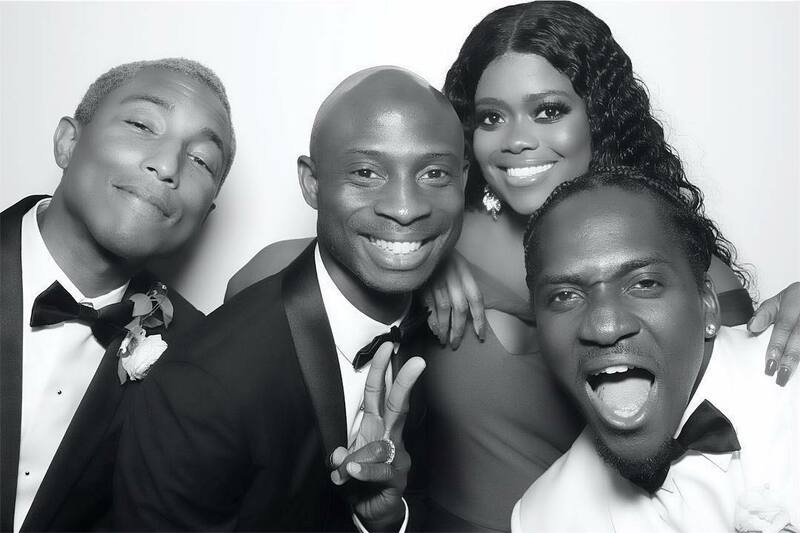 Pharrel Williams, a close friend of the groom stood as his best man, Jamie Foxx and Pusha T’s manager, Steven Victor the groomsmen. For the bride’s big day, Williams wore an elegant Marchesa gown with a plunging neckline before changing into a second look — a strapless white dress — by Reem Acra for the after party. After the pair said “I do,” they shared their first dance as husband and wife to Curtis Mayfield’s “Makings of You,” according to Brides — and in order to make sure all of their guests felt comfortable cutting up a rug themselves, the couple also provided custom Adidas slides for everybody in attendance.